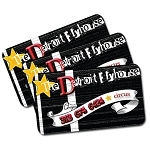 High quality full color credit card size 20pt PVC plastic cards. 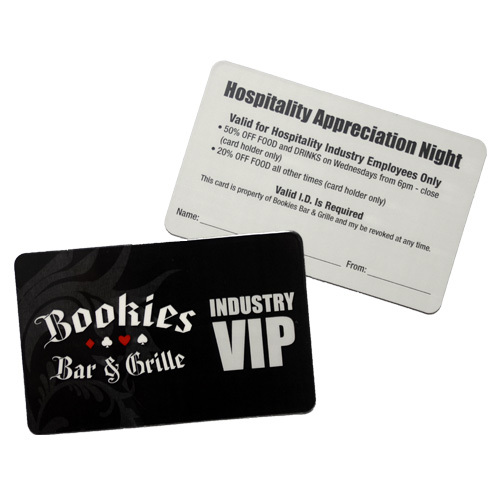 The dramatic look and durable feel of our 20pt PVC plastic cards allows your business the opportunity to differentiate itself from the competition. Whether you are a sales person looking for a memorable way to introduce yourself, an entrepreneur or business owner desiring a loyalty card or gift card program or a large corporation seeking to improve brand identity with business cards, our plastic full color printed cards will get you the attention you are looking for. Finished Size: 3.375" x 2.125"